IP finance: Auctioning patent licences of university technology: does it make sense? Auctioning patent licences of university technology: does it make sense? “the novel approach of an online auction was chosen in part to raise awareness among interested parties in business and industry that the University does have licenses available whose commercial applications could prove extremely valuable.” Further-- "[a]s a land-grant institution, Penn State has always strived to pursue research that has real-world impact," Sharkey said. "Our researchers have worked to develop IP that has the potential to add significant value to companies' products and services, but it has no value if people are not made aware of it." I must confess to a degree of puzzlement about the planned auction. First, neither Huss nor Sharkey provide any compelling explanation why a licence auction will succeed in commercializing this technology where the university’s tech transfer department has apparently failed to do so. Indeed, one wonders whether the auction is a bit of a back-handed criticism of the effectiveness of the university’s tech transfer model. Then there is the licence agreement itself. When ownership of a patent is auctioned, such a sale of rights is a straight-forward disposition of legal rights. Not so with respect to a licence for the use of IP rights in general, and patent rights in particular. As we all know, a proper patent licence is typically a multi-page document where the respective rights of the licensor and licensee are negotiated (sometimes more, sometimes less) against the backdrop of the particular circumstances of the transaction. Thus, the article states that ‘[t]he winners will have to sign a license agreement with the university.” If that is so, then what exactly is being auctioned with respect to the licence; is it akin to an option on being granted an exclusive licence or is something else intended? The article is not clear. Moreover, what is the process for ultimately negotiating the licence agreement? How much leeway does the winner of the auction have in negotiating the terms and conditions of the licence? Will the extent of this negotiating leeway be taken into account in the amount that the bidders will be prepared to offer? 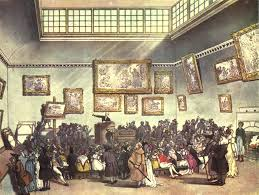 These and other questions cast a shadow on the expected degree of participation by the public and the expected monetary success of the auction. Still, the results of the action bear close attention to see if this auction model will have traction in the marketplace. Thank you very much for this critical reflection of Penn State University's new auction initiative. 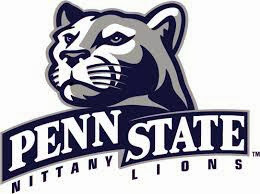 We are wondering, whether Penn State University's auction program is planned, executed or otherwise supported by an external service provider from the IP industry? Do you have any information or indications whether someone "well known" from the IP auction business is behind this initiative? I think this is a positive development. So many universities have IP that they are not making any money from, and so we need imaginative approaches in getting it out there to the market. Such auctions might be a good way of centralising IP selling by universities, and could even lead to the development of brokers that would buy up IP to sell to others.